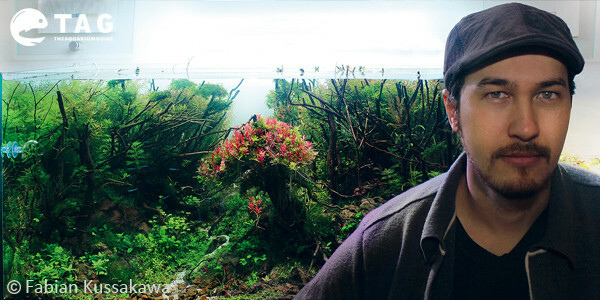 My name is Fabian Kussakawa and I am a Brazilian aquascaper who presents lectures and workshops on how to aquascape as well as the various styles, equipment, and types of fish and plants. My passion for this hobby began in 2006. 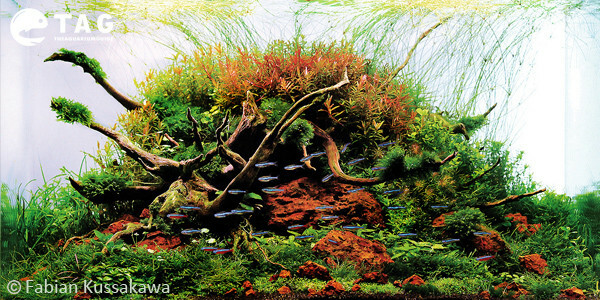 My favorite style of aquascaping is nature landscape, especially those with additional nature details. I enjoy creating diverse landscapes displaying an unusual visual context. I derive inspiration from frequent expeditions I take around my city. My beautiful town is a macrocosm of plants, peaks, caves, and landscapes. 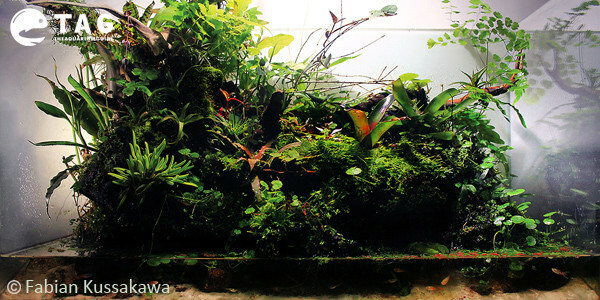 As far as plants are concerned, I am fond of Bucephalandras for the beauty of its leaves and moss for the versatility. Tetra, killifish, and apistogrammas are my preferred type of fish, especially for their color. 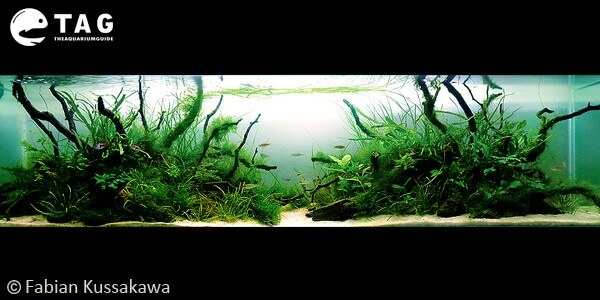 Currently, I’m maintaining an aquarium of size 120cm x 45cm x 50cm. I’ve installed a Co2 system and it is using an aquarium LED lighting. My preferred choice for aquarium filter is the Eheim External Canister Filter. My current aquarium is based on landscapes of caves with mountains in the background and small waterfalls encrusted in moss. 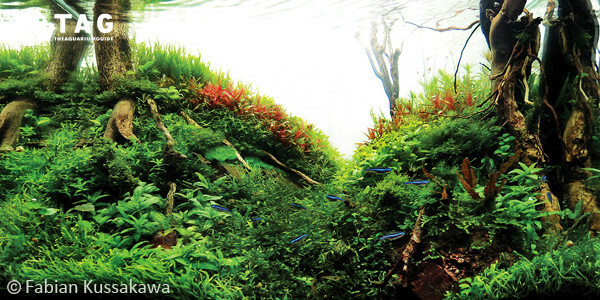 How’s the aquascaping scene like in your country? Is it popular? 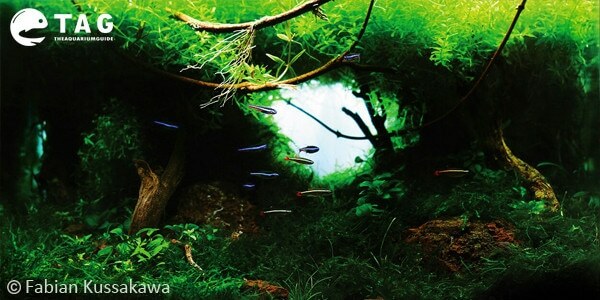 In Brazil, the aquascaping scene is promising, with some great talents. Though the scene is not as prominent in some countries, it is becoming increasingly popular as of late. 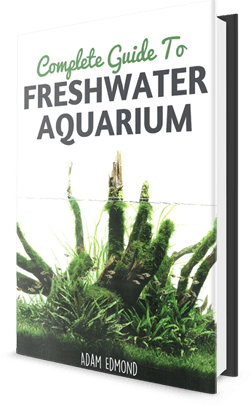 Aquascaping is difficult at first, but the more you invest your time in it, the easier it will become. 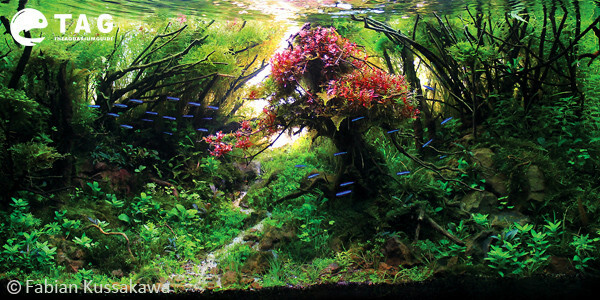 Also, I suggest studying plants and compositions of other great aquascapers for inspiration and knowledge. I’m active on social media especially on Youtube and Facebook. 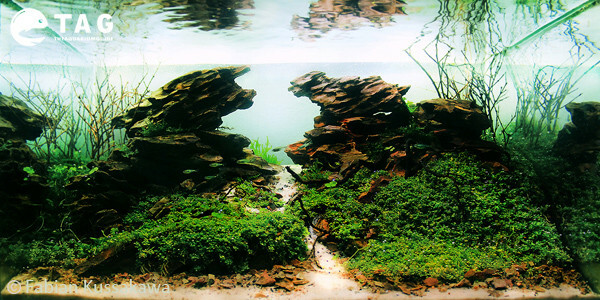 I will share my aquascape projects on these 2 platforms frequently.